Web design trends change fast. It almost seems like they are evolving monthly, rather than annually. Staying on top of the latest trends is a must, especially in the business world. Like everything else in the digital economy, you need to stay in front of the trends to stay ahead of the competition. The right tools and processes can mean incredible success for your next campaign. Following the wrong trends can mean a waste of time and money. Users in the digital realm have a short attention span. They can take their traffic elsewhere. But don’t worry, we can keep you stay ahead of the curve. Lose the noise. We will show you the top 10 web design trends for 2017. Follow these and your next campaign will have them coming back for more. The former model of digital design was to create a desktop site first and then reverse engineer it for mobile. This trend is about to be sharply reversed in 2017. Simply, users are turning to mobile interaction as their primary interface. Between smartphones, tablets, and even mobile connected through home televisions, mobile is the method of choice for visitors in 2017. Design needs to follow. Mobile ads now make up more than 80% of Facebook’s advertising revenue. Companies understand the value of mobile interface and design will lead the way. It may be difficult for experts to wrap their minds around this one. But digital first is a digital design trend in 2017. What the best of us have known for a long time the business world is still catching up with. Internet usage across all platforms continues to rise. Your bosses and clients are realizing that web design comes first and not second in any campaign. Internet traffic for South Africans dominates marketing platforms with 24.9 million users. Desktop usage saw a decrease of 11 percent last year but overall traffic is up. In 2016 internet traffic from tablets saw the most amount of growth with 33 percent. Users with multiple access points to the internet (smartphone, desktop, tablets) now spend twice as much time online as they do watching television. This can put pressure on design professionals in the digital sector who were relegated to a support role behind branding or corporate marketing. Among web design trends to watch for is the position of the digital marketer to continue to evolve. The internet hs started to look like a loud casino on a Saturday night. Or a crowded highway with competing signs in gaudy neon assaulting the eye. Minimalist design helps you stay above the clutter. A focus on clean, spare visuals and text will distinguish your brand from the internet noise. The minimalist technique leads web design trends because it helps to catch the eye of users and keep them coming back. Illustration focuses on the same principles. It is a return to a personal touch. Illustration on your site helps guide users through complex processes and catches the eye with a more intimate connection. Not all of 2017 web design trends are a return to simplicity though. The applications for virtual reality online are tremendous. This content can range from product demonstrations to architectural walkthroughs. It creates a unique experience and leverages the desire users have for video content and take the trend one step further. Video content is on the rise and is a key web design trend for 2017. Users prefer video content and any design solution needs to incorporate this trend. Keep it short and pertinent. Video content will also boost SEO dramatically. We all know content is king. It drives SEO and keeps users coming back. Using stock photos undercuts the drive for personal, interesting content. Minimalist design requires clean fonts and bold typography. As digital and mobile lead the way of all marketing the use of typography will continue to evolve this year. Part of losing stock photos and focusing on bold, clean typography with minimalist designs means combining the two. A single word imposed on a photo does more than adding text. It creates an original design that is among the best web design trends of 2017. All of this can pay off. You’ll see it on the bottom line of your bosses and clients. As with every part of digital marketing, businesses can now track the effectiveness of any design campaign. Unlike traditional marketing and design, digital effectiveness can be linked directly between costs and benefits. In the digital world, we know what users like. The inbound traffic, conversions, interface, time on site are all measured. There is a direct link between effective design and revenue. Expect the trend of making this sound business connection to grow in 2017. One of the biggest web design trends is in designers presenting their value to clients and employers. Using Return On Investment (ROI) analytics should shape your process. What better tool is there for gauging user research and gauging the effectiveness of visual trends? You will have an active design interface with ROI analytics. You will also provide greater value to any campaign. You can show your clients and bosses which routes to abandon, and which approaches to invest in more heavily. The speed of digital can be breakneck. But at the core of new technology or processes, the fundamentals of marketing remain the same. Social media is simply a platform to spread the word about goods and services. There could be nothing as primary and basic to marketing as spreading the word. 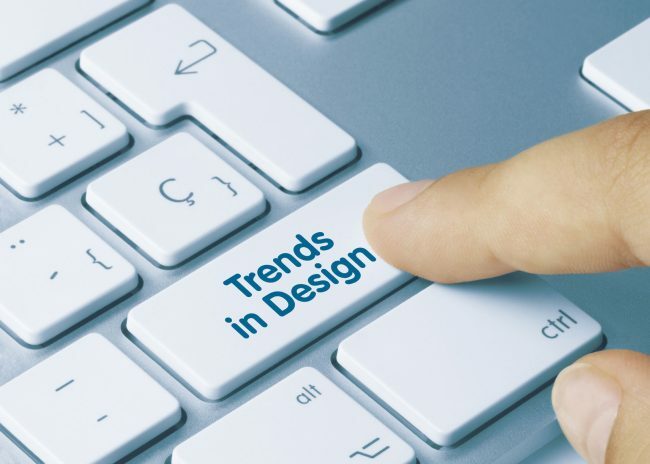 All web design trends and marketing principles are the same. They evolve with the best possible tools and techniques to create the desired effect. Staying ahead of the trends means coupling core principles with the newest tools. This can be confusing for many businesses. They may feel themselves getting left behind. Don’t get lost in the trends. Did you know that Martin Orton New Media is a small client-focused new media studio? We strive to provide our clients with high quality, innovative and effective creative online and offline solutions in a suitable manner. Over the years we’ve grown into a collective of talented web designers, digital designers, graphic designers, and copywriters to cater for any project — large or small. Don’t wait another day to get the expertise you need to stay ahead of the trends. Contact Martin Ortin New Media now and we will develop the best approach to boost your business using core marketing principles, current trends, and the best new media tools.